With an estimated one-fifth of the population suffering from Irritable Bowel Syndrome, there is no shortage of manufacturers bringing to market what they hope will be a 360-degree remedy for this ailment which causes persistent abdominal symptoms such as bloating, spasms, constipation and or loose stools. The exact causes for each person’s symptoms are different and so finding a remedy is very much about responding to your set of symptoms and eliminating your triggers. That said, today we put WellCare Provim IBS under our review spotlight to analyse the ingredients and look at the kind of relief it could potentially bring. L Acidophilus improves intestinal flora populations and therefore gut health and assists enzymes to break down foods. It also helps to prevent viral and urinary tract infections from occuring as a healthy population of good bacteria can fight yeast, e.coli and other bacterial and fungal invaders. Sodium Butyrate helps fuel intestinal cells. It supports the workings of the probiotics in the gut. Take 2 tablets twice a day for at least 10 days during an acute attack. During the protection phase when you are building up your defences against your symptoms, take 2 capsules once a day for at least 15 days. We could not ascertain what these capsules were retailing for online despite an extensive search, including on social media channels. It appears not to be carried at this point in time through third-party channels such as Amazon either. The manufacturer is in Istanbul and it is likely that the capsules are not yet being distributed in the US or non-Middle Eastern countries. To our knowledge from what we could find in our research, Well Care does not offer a returns policy. At the time of writing the review and researching it, no verified consumer feedback was available. In its enteric-coated tablet form, Provim allows the much-needed probiotics to reach the intestines safely without stomach acids and other secretions interfering with this probiotic delivery. The capsules are both preservative- and gluten-free. It is not often that a formula places as much emphasis on Sodium Butyrate. 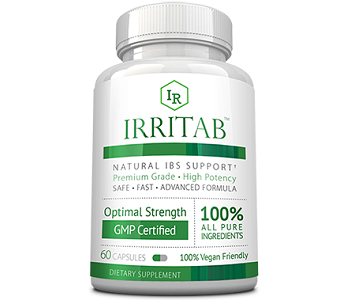 A range of probiotics are needed to restore gut balance and functioning and unless you know for sure that you’re mainly lacking l acidophilus, you may not get much help via this supplement. Secondly, we were not able to ascertain the amount contained in the formula – it needs to between 50 and 100 billion to be effective. 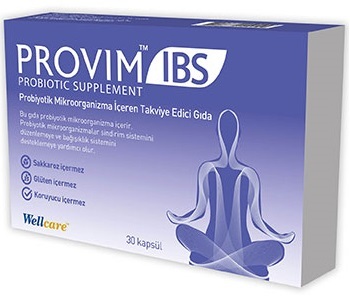 Most importantly, since we could not find a price, returns policy or local point of distribution – even online – for Provim IBS, there are too many unknowns surrounding this supplement which is Middle Eastern in origin for us to recommend its use.